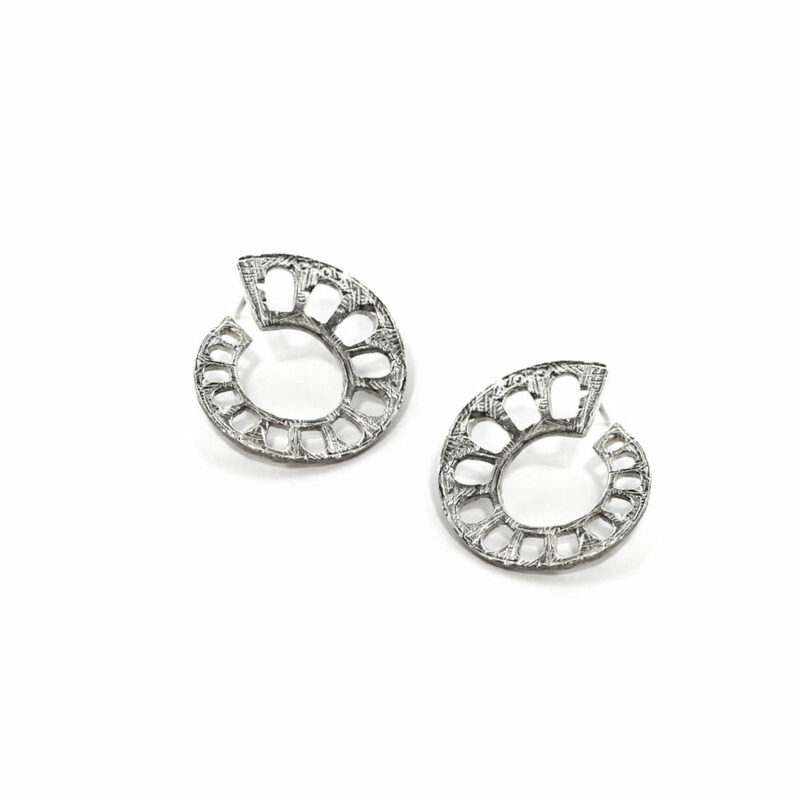 Our 925 silver sterling Aqueduct earring celebrate one of the greatest challenges of the Roman Empire: the Ancient Roman Aqueducts.From Rome with love. 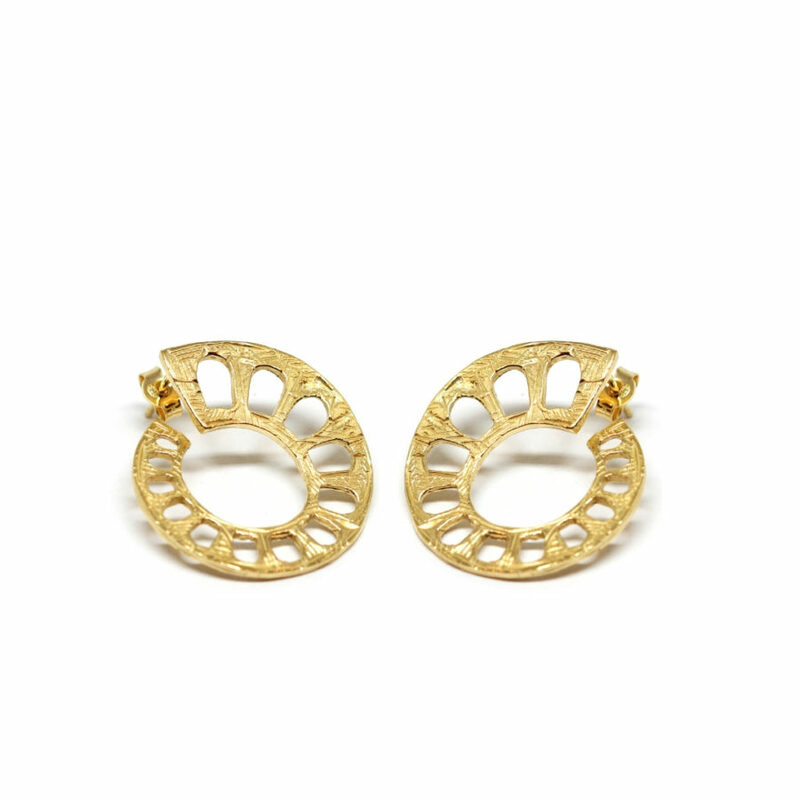 Our gold-plated silver sterling Aqueduct earrings celebrate one of the greatest challenges of the Roman Empire: the Ancient Roman Aqueducts.From Rome with love. Our rose gold-plated silver sterling Aqueduct earrings celebrate one of the greatest challenges of the Roman Empire: the Ancient Roman Aqueducts.From Rome with love. 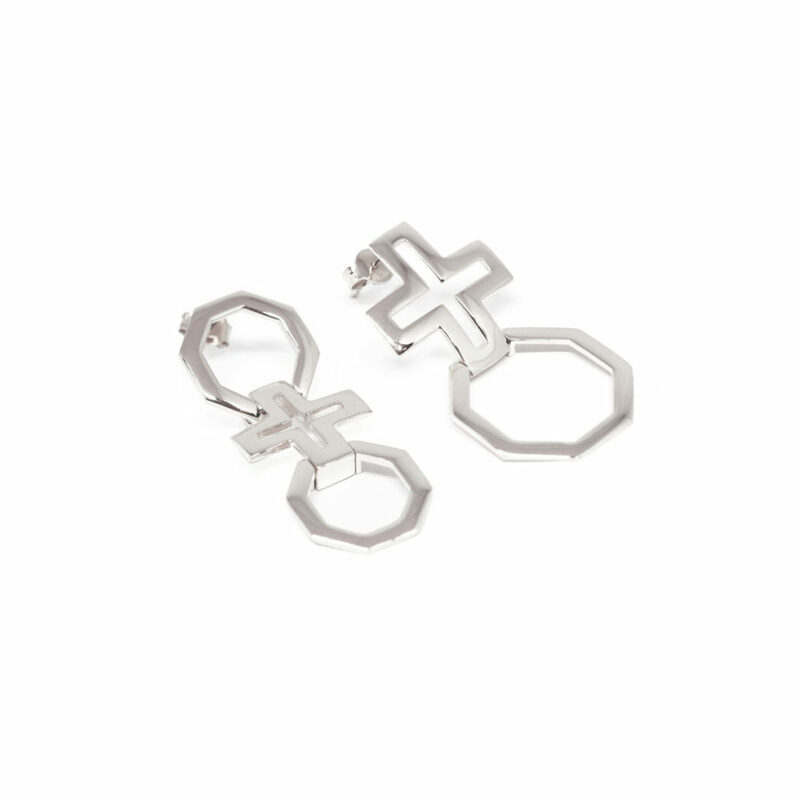 From our brand new collection "Contemporary Baroque", our San Carlo alle Quattro Fontane Dome earrings in 925 sterling silver embody the stunning beauty of the Roman Baroque.Composed by mesmerizing crosses and octagons, its pattern is inspired by the Borromini's San Carlo alle Quattro Fontane church vault of Rome.A unique Baroque gem. 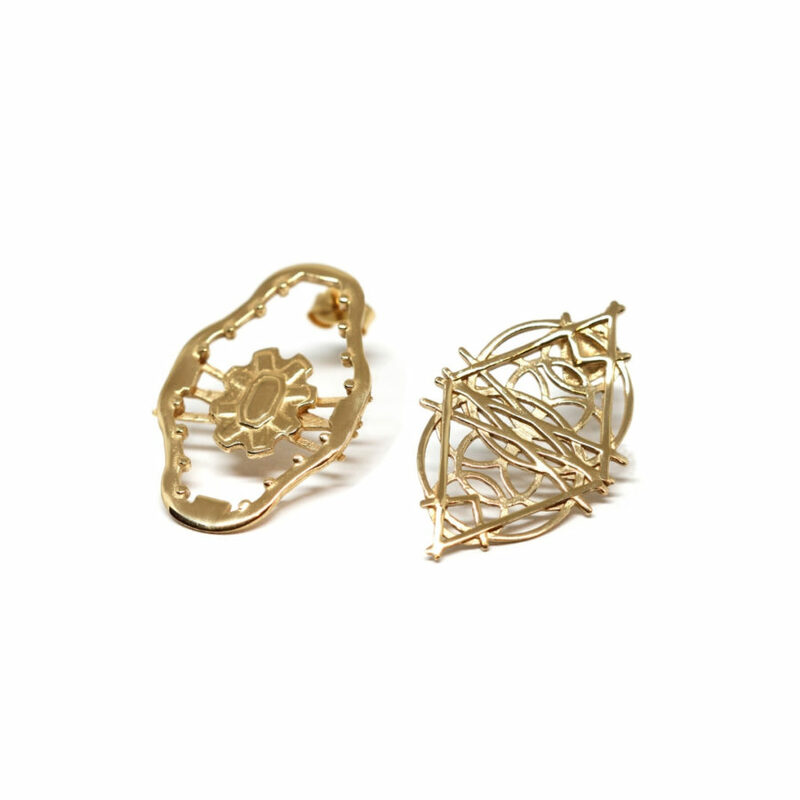 From our brand new collection "Contemporary Baroque", our San Carlo alle Quattro Fontane Dome earrings in gold-plated 925 sterling silver embody the stunning beauty of the Roman Baroque.Composed by mesmerizing crosses and octagons, its pattern is inspired by the Borromini's San Carlo alle Quattro Fontane church vault of Rome.A unique Baroque gem. 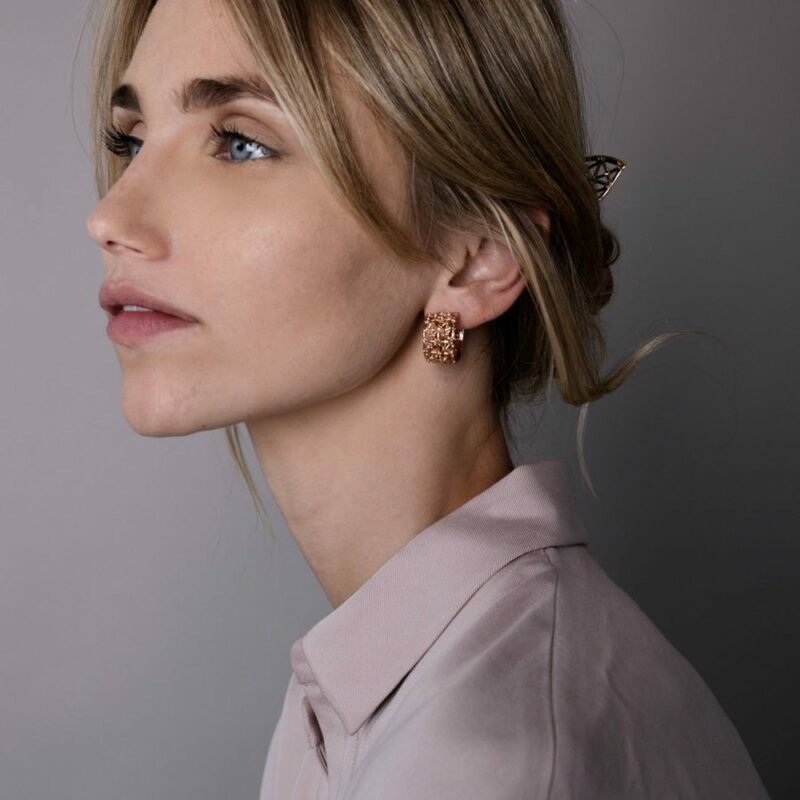 From our brand new collection "Contemporary Baroque", our San Carlo alle Quattro Fontane Dome earrings in rose gold-plated 925 sterling silver embody the stunning beauty of the Roman Baroque.Composed by mesmerizing crosses and octagons, its pattern is inspired by the Borromini's San Carlo alle Quattro Fontane church vault of Rome.A unique Baroque gem. 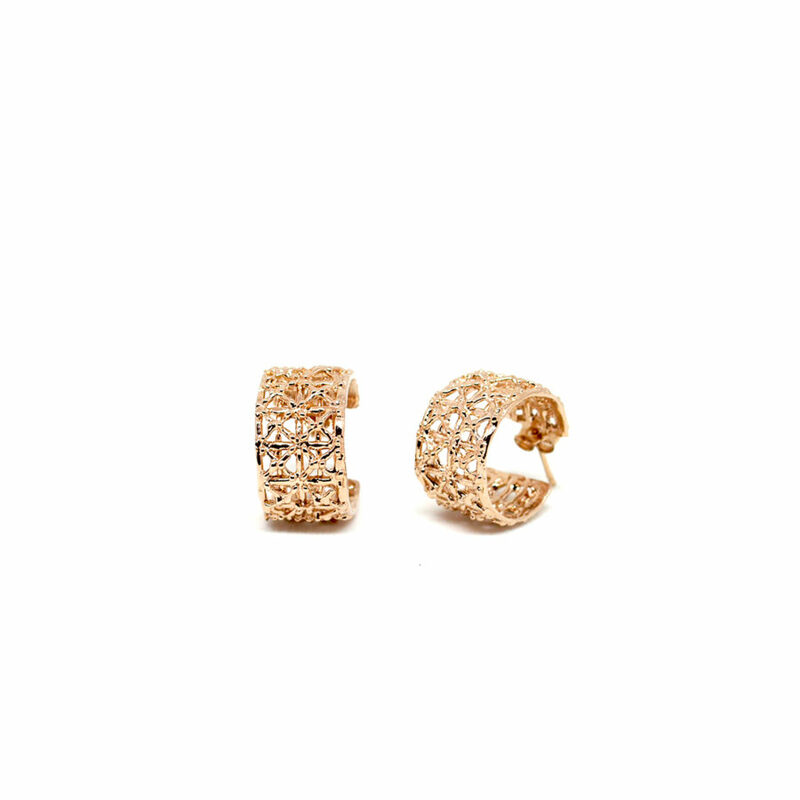 From our brand new collection "Contemporary Baroque", our Contemporary hoop earrings in gold plated 925 sterling silver embody the stunning beauty of the Roman Baroque and the pleasure of an everyday-chic jewel.Composed by mesmerizing crosses and octagons, Its pattern is inspired by the Borromini's San Carlo alle Quattro Fontane church vault of Rome.A unique Baroque gem. From our brand new collection "Contemporary Baroque", our Contemporary hoop earrings in rose gold plated 925 sterling silver embody the stunning beauty of the Roman Baroque and the pleasure of an everyday-chic jewel.Composed by mesmerizing crosses and octagons, Its pattern is inspired by the Borromini's San Carlo alle Quattro Fontane church vault of Rome.A unique Baroque gem. 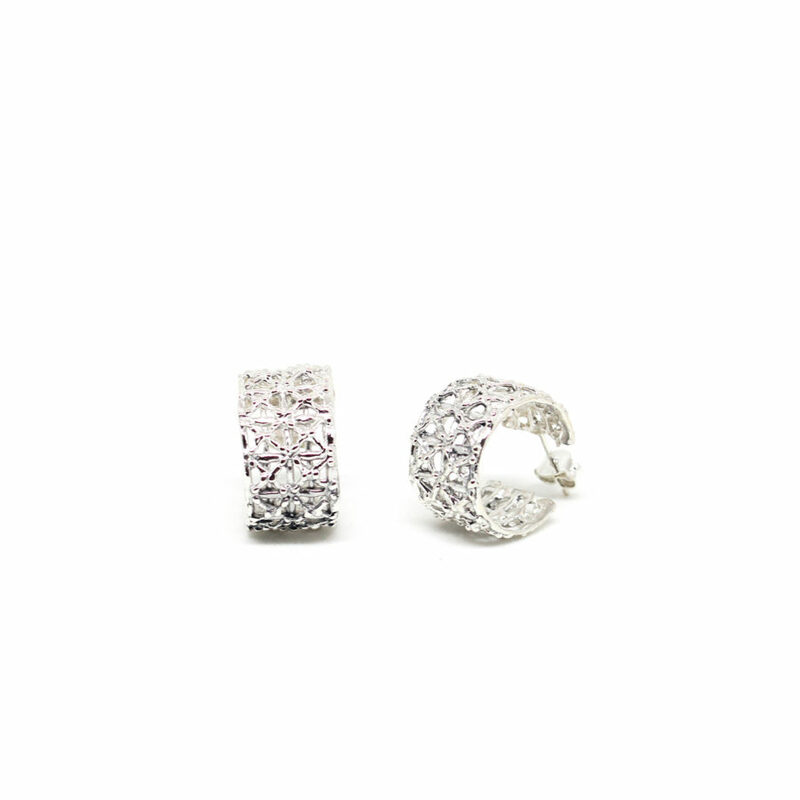 From our brand new collection "Contemporary Baroque", our Contemporary hoop earrings in 925 sterling silver embody the stunning beauty of the Roman Baroque and the pleasure of an everyday-chic jewel.Composed by mesmerizing crosses and octagons, Its pattern is inspired by the Borromini's San Carlo alle Quattro Fontane church vault of Rome.A unique Baroque gem. 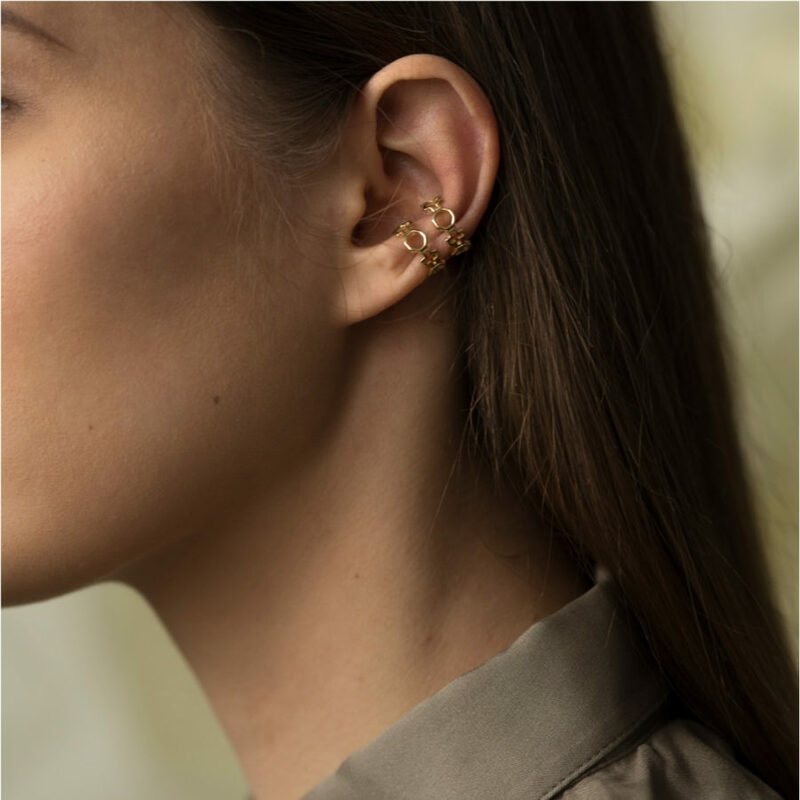 From our brand new collection "Contemporary Baroque", our Contemporary earcuff in gold-plated 925 sterling silver embodies the stunning beauty of the Roman Baroque and the pleasure of an everyday-chic jewel.Composed by mesmerizing crosses and octagons, its pattern is inspired by the Borromini's San Carlo alle Quattro Fontane church's vault of Rome.A unique Baroque gem. 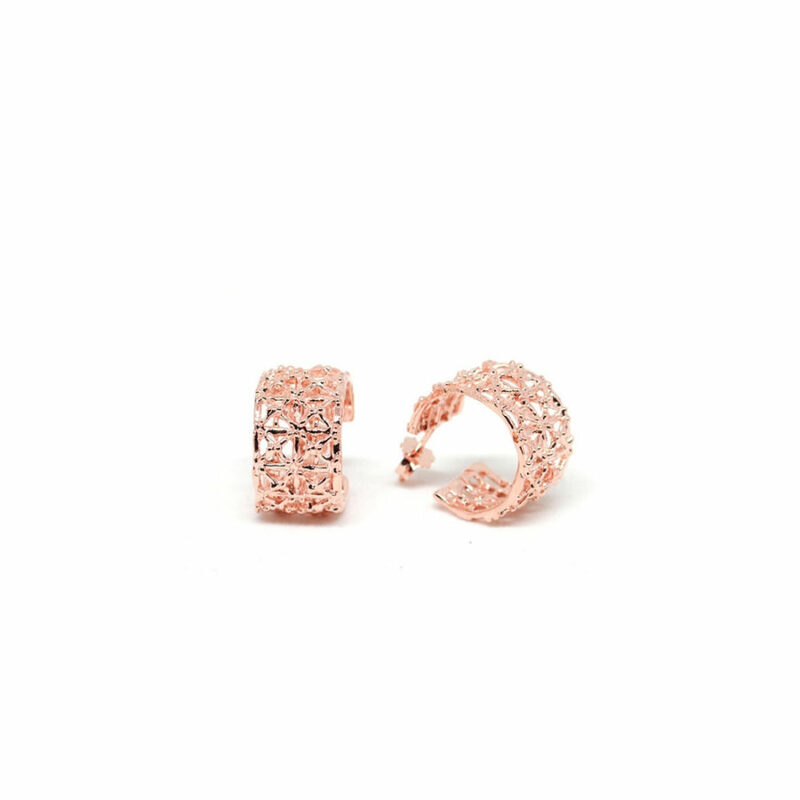 From our brand new collection "Contemporary Baroque", our Contemporary earcuff in rose gold-plated 925 sterling silver embodies the stunning beauty of the Roman Baroque and the pleasure of an everyday-chic jewel.Composed by mesmerizing crosses and octagons, its pattern is inspired by the Borromini's San Carlo alle Quattro Fontane church's vault of Rome.A unique Baroque gem. 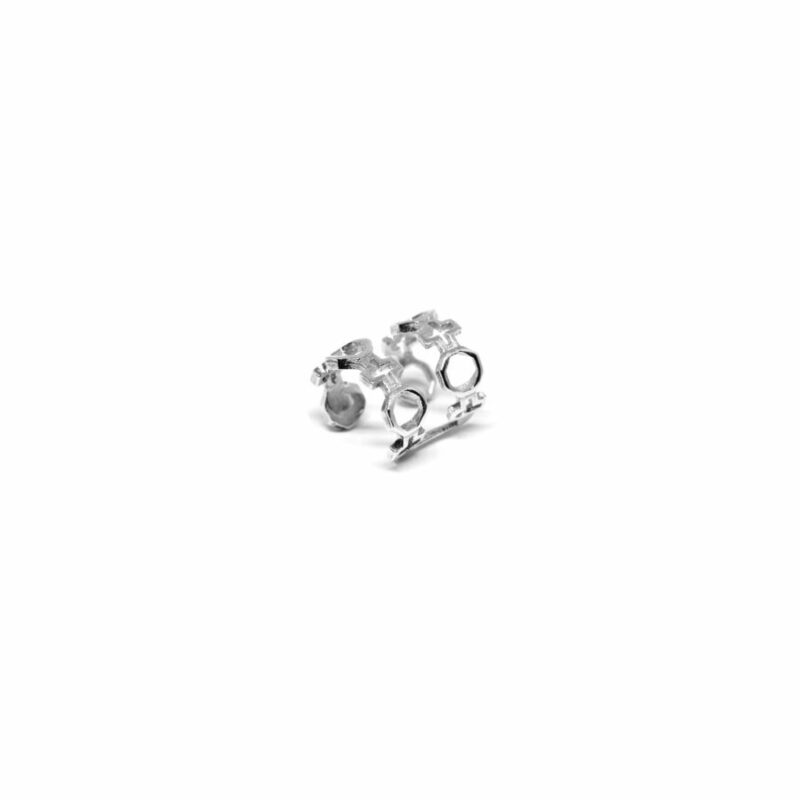 From our brand new collection "Contemporary Baroque", our Contemporary earcuff in 925 sterling silver embodies the stunning beauty of the Roman Baroque and the pleasure of an everyday-chic jewel.Composed by mesmerizing crosses and octagons, its pattern is inspired by the Borromini's San Carlo alle Quattro Fontane church's vault of Rome.A unique Baroque gem. 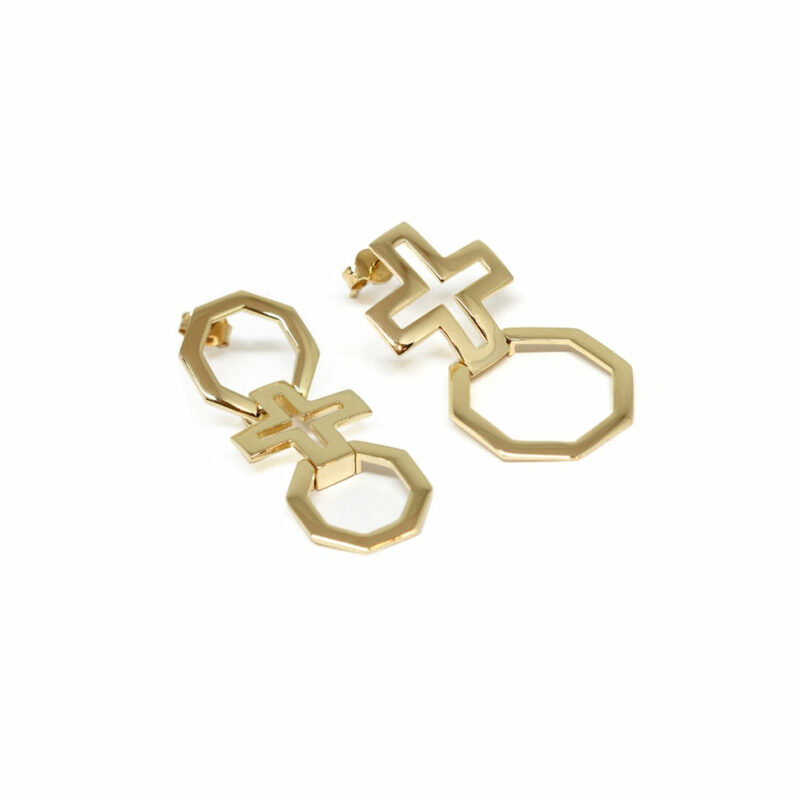 From our brand new collection "Contemporary Baroque", our Contemporary Curves earrings in gold-plated 925 sterling silver embody the stunning beauty of the Roman Baroque and the pleasure of an everyday-chic jewel.Composed by mesmerizing crosses and octagons, its pattern, inspired by the Borromini's San Carlo alle Quattro Fontane church vault of Rome, merges with an unconventional vertical shape.A unique Baroque gem. From our brand new collection "Contemporary Baroque", our Contemporary Curves earrings in rose gold 925 sterling silver embody the stunning beauty of the Roman Baroque and the pleasure of an everyday-chic jewel.Composed by mesmerizing crosses and octagons, its pattern, inspired by the Borromini's San Carlo alle Quattro Fontane church vault of Rome, merges with an unconventional vertical shape.A unique Baroque gem. 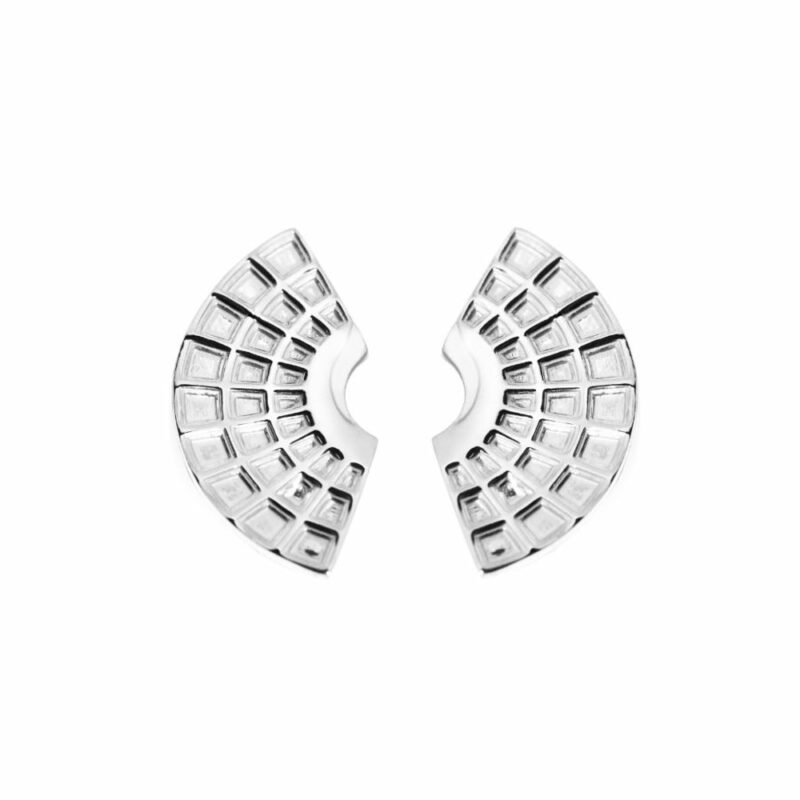 From our brand new collection "Contemporary Baroque", our Contemporary Curves earrings in 925 sterling silver embody the stunning beauty of the Roman Baroque and the pleasure of an everyday-chic jewel.Composed by mesmerizing crosses and octagons, its pattern, inspired by the Borromini's San Carlo alle Quattro Fontane church vault of Rome, merges with an unconventional vertical shape.A unique Baroque gem. 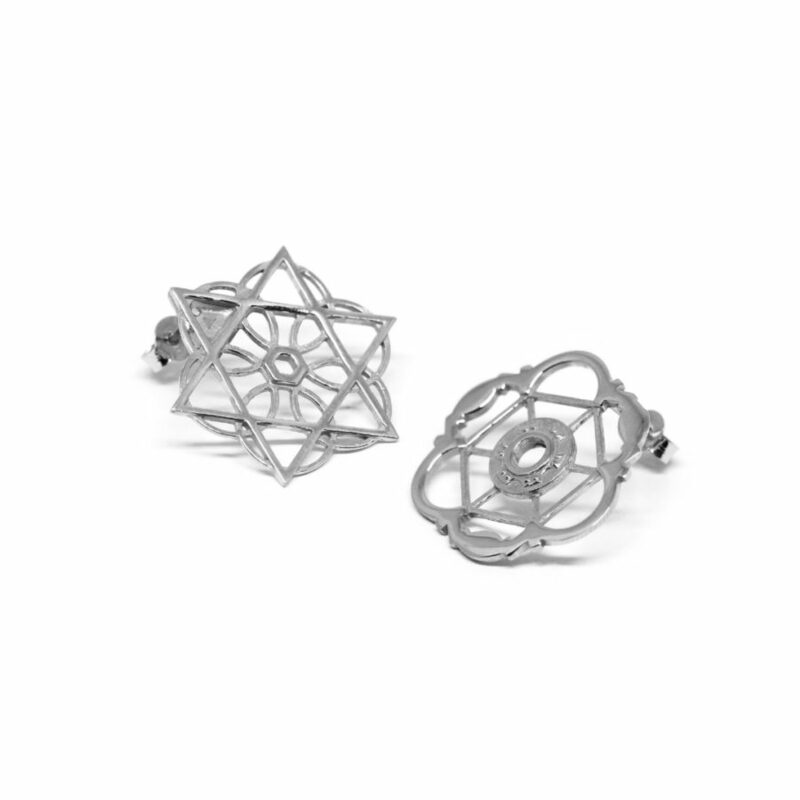 From our brand new collection "Contemporary Baroque", our Sant'Ivo alla Sapienza Geometry 925 sterling silver earrings embody the stunning beauty of the Roman Baroque and the pleasure of an everyday-chic jewel.Its design recalls Sant'Ivo alla Sapienza church's ground plan, reinterpreted with a pure Italian savoir faire.A unique Baroque gem. From our brand new collection "Contemporary Baroque", our Sant'Ivo alla Sapienza Geometry earrings in gold plated 925 sterling silver embody the stunning beauty of the Roman Baroque and the pleasure of an everyday-chic jewel.Its design recalls Sant'Ivo alla Sapienza church's ground plan, reinterpreted with a pure Italian savoir faire.A unique Baroque gem. 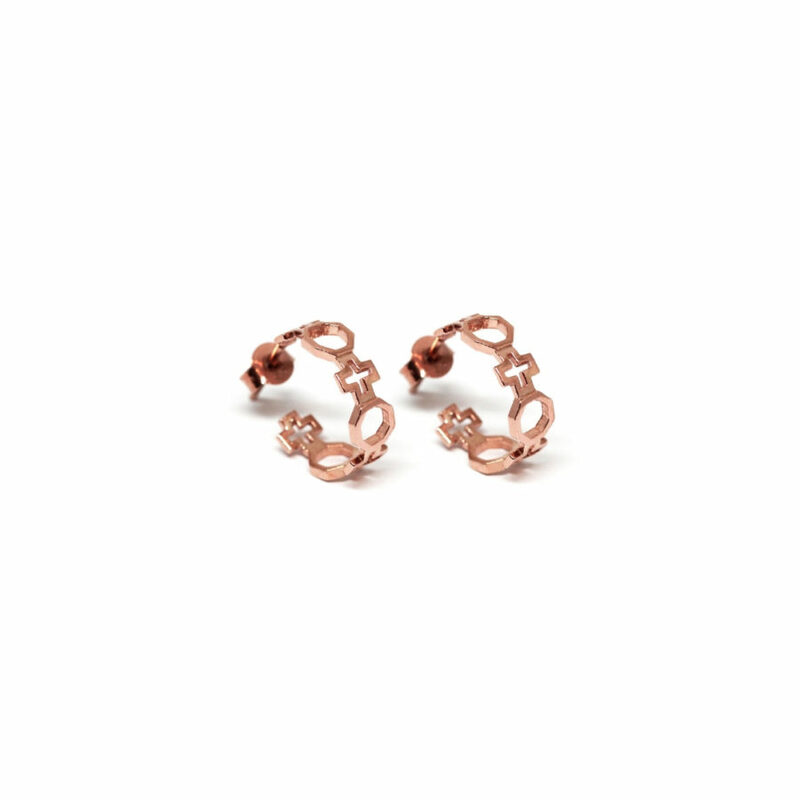 From our brand new collection "Contemporary Baroque", our Sant'Ivo alla Sapienza Geometry earrings in rose gold plated 925 silver sterling embody the stunning beauty of the Roman Baroque and the pleasure of an everyday-chic jewel.Its design recalls Sant'Ivo alla Sapienza church's ground plan, reinterpreted with a pure Italian savoir faire.A unique Baroque gem. From our brand new collection "Contemporary Baroque", our Borromino mismatched earrings embody the stunning beauty of the Roman Baroque and the pleasure of a statement jewel.Its design recalls San Carlo alle Quattro Fontane church's vault pattern, reinterpreted with a pure Italian savoir faire.A unique Baroque gem. 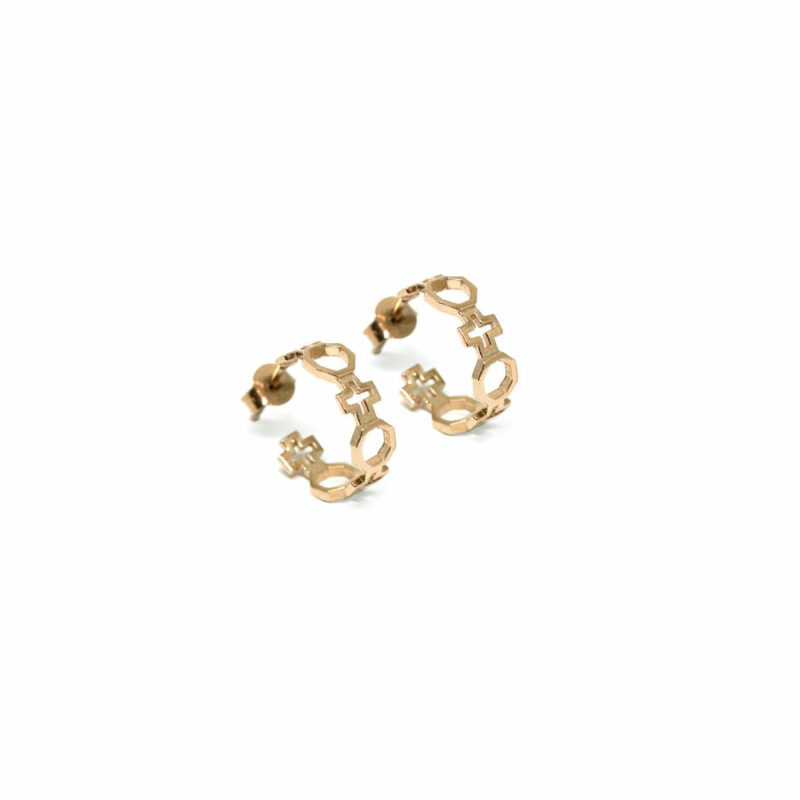 From our brand new collection "Contemporary Baroque", our San Carlo Alle Quattro Fontane Mismatched Earrings Gold Plated 925 sterling silver embody the stunning beauty of the Roman Baroque and the pleasure of an everyday-chic jewel.Its design recalls San Carlo alle Quattro Fontane church's ground plan, reinterpreted with a pure Italian savoir faire.A unique Baroque gem. 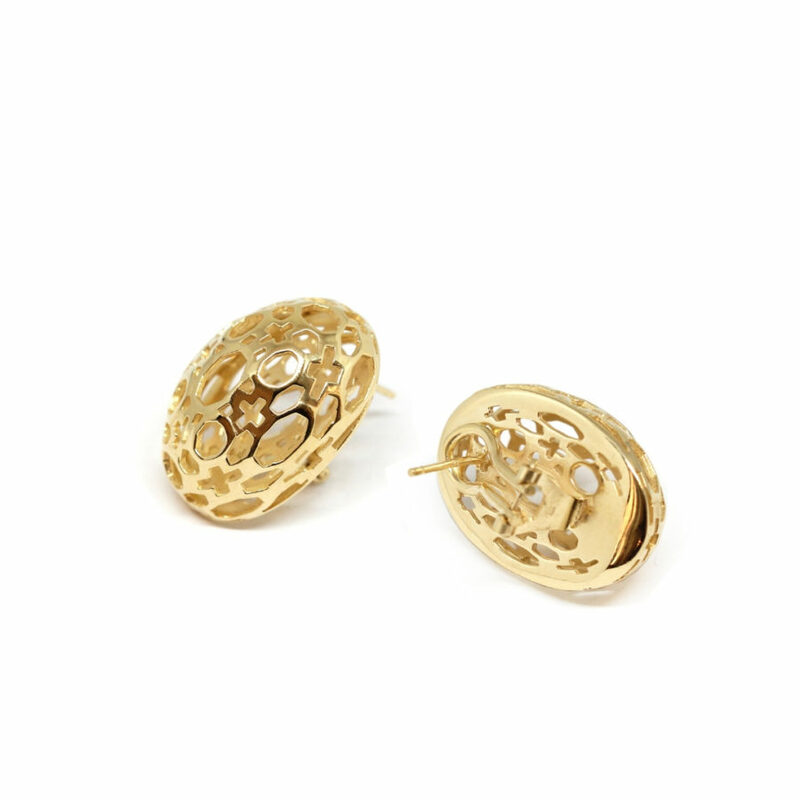 From our brand new collection "Contemporary Baroque", our San Carlo Alle Quattro Fontane Mismatched Earrings Gold Plated Silver Sterling 925 embody the stunning beauty of the Roman Baroque and the pleasure of an everyday-chic jewel.Its design recalls San Carlo alle Quattro Fontane church's ground plan, reinterpreted with a pure Italian savoir faire.A unique Baroque gem.